4th Ed. — Oxford University Press, 2014. A completely new Elementary edition from the world's best-selling adult English course, with new digital resources for 2011. The Fourth edition brings you fully revised and updated texts, topics, and artwork, and the 2011 resources make it the most digital-friendly edition yet. 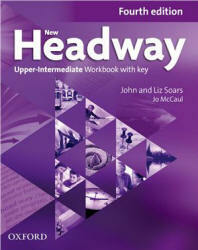 New texts, topics, and design Integrated-skills syllabus with a clear grammar focus New version of Headway iTools - whole book onscreen Headway iTutor - new interactive self-study DVD-ROM, included with the Student's Book (summer 2011) Full teacher support - resources, photocopiables, tests and more - in print and online. 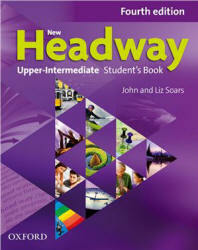 Headway online - можно свободно скачать все Audio и Video для Student's Book и Workbook, а также размещены тесты, различные упражнения и пр. 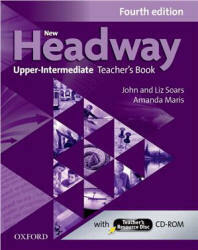 New Headway. Upper-Intermediate. Student's book. John and Liz Soars. New Headway. Upper-Intermediate. Workbook with Key. Liz and John Soars. New Headway. Upper-Intermediate. Teacher's Book. Liz and John Soars, Amanda Maris.